This classically chic and modern kettle brings ultimate class to your kitchen. Whether it’s your first house or a stylish city centre apartment, its intense black, steel grey and glass viewing window gives it a sophisticated and trendy look. What’s the most used appliance in your kitchen? We’re guessing that it’s probably your kettle – after all, who doesn’t enjoy a lovely cup of tea, a quick coffee or even an instant hot chocolate? Whether you take your tea with or without caffeine, or prefer a fruitier version, the Elegance Kettle will keep you refreshed, while adding a refined look to your kitchen. 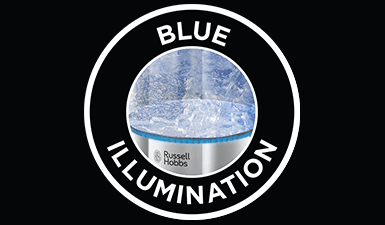 For those days when you feel like you need to unwind and grab a quick cuppa, hit the power switch and be soothed by the blue illumination that creates the perfect ambience for a relaxed and peaceful environment. As we are one of Europe's leading small electrical appliance brands, we are proud to announce that we have been awarded a prestigious Red Dot 2018 Product Design Award for our Elegance Breakfast Collection. 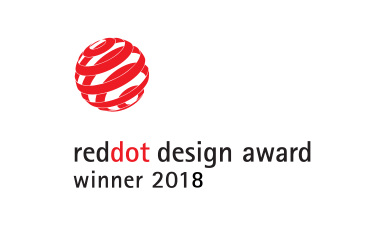 The Red Dot Award is a coveted prize, which has been awarded by the world-renowned Design Zentrum Nordrhein Westfalen in Essen, Germany since 1955 is known as the industrial design “Oscar."